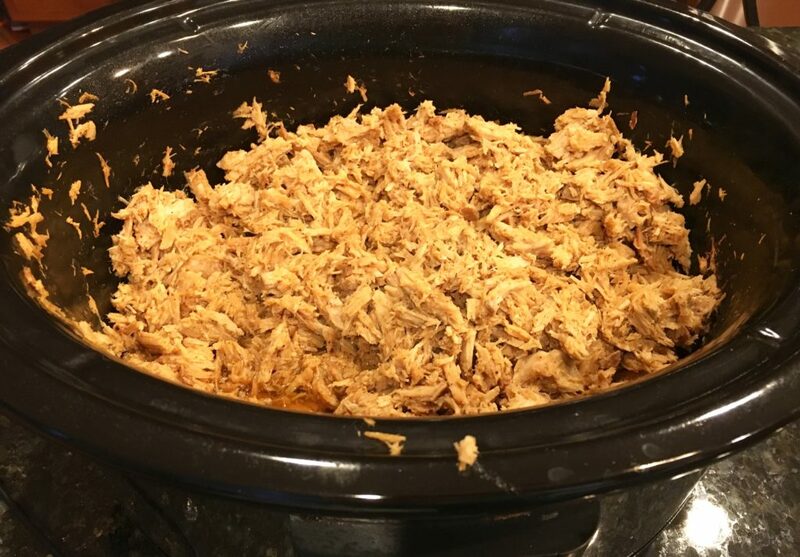 Pulled pork is something I like to have in my freezer for quick meal, like pork barbecue sandwiches or pulled pork tacos. And there’s not an easier way to make a big batch of pulled pork than in the slow cooker. I like this recipe because it gives a subtle flavor to the meat, so you can use it in a variety of ways. Whisk together the tomato sauce, brown sugar, vinegar, Worcestershire sauce, chili powder, salt, and liquid smoke in a small bowl. Trim any fat and silver skin off of pork. Spray slow cooker with cooking spray, place pork in slow cooker, and pour sauce over. Cook on low for 6-8 hours, until tender and falling apart. Add barbecue sauce, if desired. *To freeze: Allow meat to cool completely and divide into resealable bags. Defrost and heat to serve.